Sauté the onion in the butter. Add the leek and cook briefly. Add the orange zest and juice to the leek, season. Cover the leek and simmer for approx. 5 mins., allow to cool a little, stir in the crème fraîche. Place one sheet of pastry in a round tin (approx. 30 cm in diameter) lined with baking paper. Firmly prick the pastry base, sprinkle with the breadcrumbs, cover with the leek filling, smooth down. Season the fish fillets and place on top of the leek mixture. Fold the protruding pastry edges over the filling, brush with egg. Firmly prick the second sheet of pastry, place on top of the filling, trim the edges and press down well. 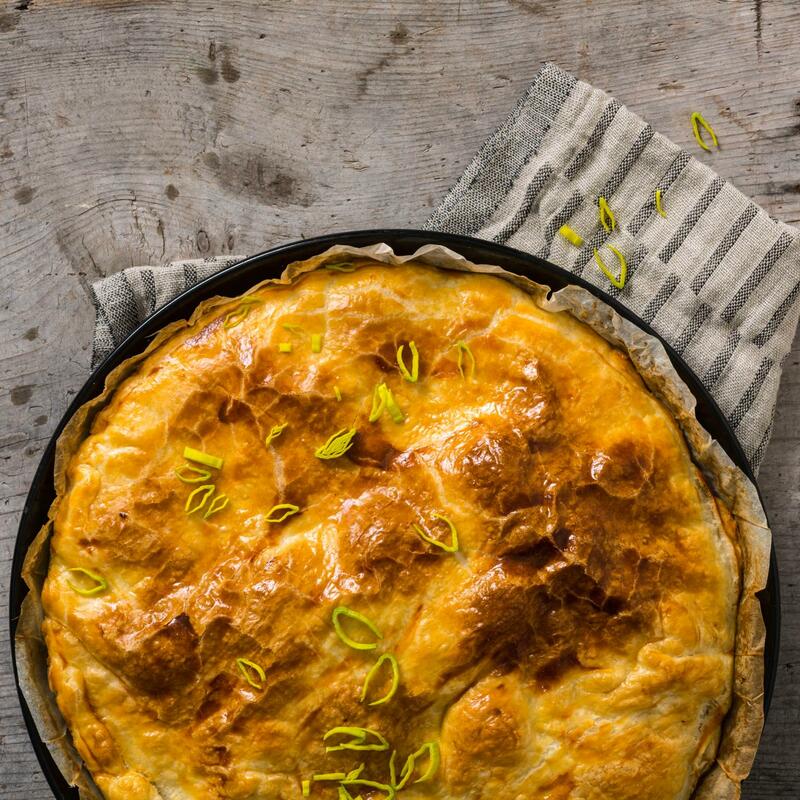 Brush the pie with egg. Bake for approx. 25 mins. in the lower half of an oven preheated to 220°C. Allow to cool a little on a cooling rack, serve warm.